This is our 14th year supporting the poor in Bahir Dar Ethiopia. This year we got back into our regular time of visiting in February/ March and even by Ethiopian standards the weather was very hot, hovering around 34C most days. We like to keep well away from any political debate when in Ethiopia but this year the country was talking about the current state of emergency and the devaluation of the currency. We expected our funds to go further this year as the exchange rate was 38 Bir to the pound the best rate we have ever had but the cost of living has shot sky high adding to the plight of the people who are living without basic needs. 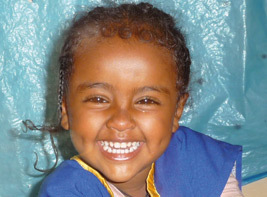 It is amazing to think that the project Ethiopiahope has now been running for 14 years. During this time, we have seen some amazing changes to the lives of the people the project has supported and continues to support. This has been able to happen due to the support from friends and family whose contributions make it all possible. Ethiopiahope has never had any overheads and every penny collected supports the people in Bahir Dar with the greatest needs.